Meet the curator, drink champagne, tour the collection and have a great time supporting charities throughout the region through SUNRISE Rotary Foundation. Join CMATO for "Fine Art in Black & White", an exploration of the process of black and white photography and what goes into creating a stunning and timeless image Presented by recognized experts, Stephanie Hogue-Davis and John C. Lewis, this presentation addresses two of the most important but rarely discussed aspects of being a true photographic artist -- capturing and creating a fine print. Janss, a lifelong friend and student of Adams, will discuss the personal elements that shaped his collection along with the visualization and techniques that helped produce the photographer's most popular and iconic images. Join us to discover the magic of the process of photography in this hands-on workshop for the whole family! We will use natural elements, simple exploration of composition, and a photographic processes to create works of art in the spirit of Ansel Adams. Ansel Adams is one of the most acclaimed photographers of all time, but an equally important and enduring aspect of his legacy is that of a teacher and mentor to an entire generation of photographers including entrepreneur and philanthropist, Larry Janss. Janss, whose personal collection of Adams' iconic black-and-white vistas comprises CMATO's newest exhibition, began as a student of Adams but would quickly establish a partnership and lifelong friendship, assisting the renowned photographer with numerous projects throughout the course of Adams' life. Janss will share stories of his time spent working with Adams, including accompanying the artist on his final trip to Yosemite and witnessing first-hand Adams' technical mastery of the photographic medium, with KCLU's Lance Orozco on Thursday, February 21, exclusively at CMATO. Join us for PoeTea - a Sunday afternoon that blends poetry and art during an tea service in the main gallery exhibition of Kevin Sloan: A Collection of Rarities. Go beyond the myths and discover the reality of reptiles at Reptile Round Up, a special education presentation from our friends at the Southwestern Herpetologists Society! Meet a tortoise, pet a lizard and learn about the habit of these colorful and gentile reptiles, the threats they face and what you can do to conserve the habitats on which they depend. Reptile Round Up takes place in CMATO’s main gallery alongside the paintings of Kevin Sloan, whose “A Collection of Rarities” exhibit echoes a contemporary environmental about humanity’s impact on the natural world. Come learn how nature can inspire—-and even transform—-us! Circles of Support Member Event - Photo L.A. Circles of Support is an essential component of the museum’s success and includes membership in our 2019 Circles of Support, a select group that represents CMATO’s strongest and most dedicated philanthropic supporters. Member privileges encompass engaging cultural and social events, including special access to private collections and studio visits with contemporary artists, and invitations to members-only exhibition previews and evening receptions. Members of the Chairman’s and Director’s Circle will also attend a private reception that will feature a 2019 State of the Museum update by our Chairman, Tony Principe. I hope you will join us in making CMATO both a major art destination as well as a fun and engaging personal experience! Thank you for supporting the dynamic exhibitions, events and programs that bring our mission to life. The Los Angeles Art Fair season is fast approaching and we are delighted to be able to provide our Circle of Support members exclusive VIP access to the hottest shows Los Angeles has to offer. 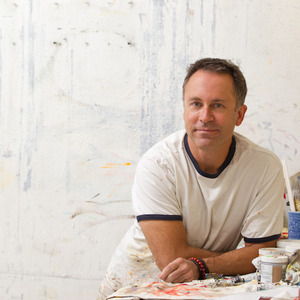 LA Art Show (laartshow.com), at the LA Convention Center, runs from Jan. 23 – 27, 2019. This mega-show is the largest of the LA art fairs and features modern and contemporary works from more than 100 galleries around the world displayed in over 200,000-square-feet of exhibition space. Come up close and meet exotic animals under the watchful eyes of zoo keepers (some in training!) from Moorpark Teaching Zoo. Visitors will have an opportunity to meet and interact with an array of furry friends at “Wild Wonders,” a special wildlife “meet and greet” presented in conjunction with Moorpark Teaching Zoo - one of the only two teaching zoos in the nation. Visitors can get up close with the Zoo’s animal ambassadors and learn about the habits and characteristics of these amazing creatures in addition to animal ecology, adaptations and endangered species. This fun and interactive family program engages audiences about the wonders of our earth and the animals with whom we share it. 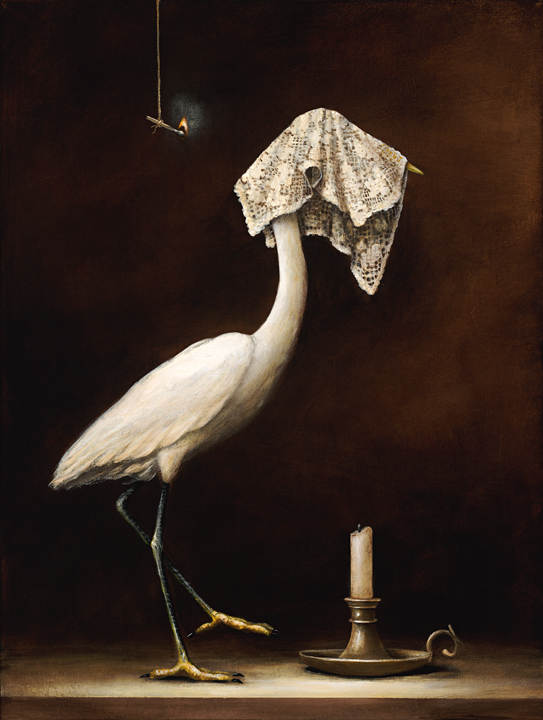 “Wild Wonders” complements the ecologically-conscious works of artist Kevin Sloan, whose “A Collection of Rarities” exhibition, now on view at CMATO, explores the intersection of humanity, nature and wildlife in the modern era. 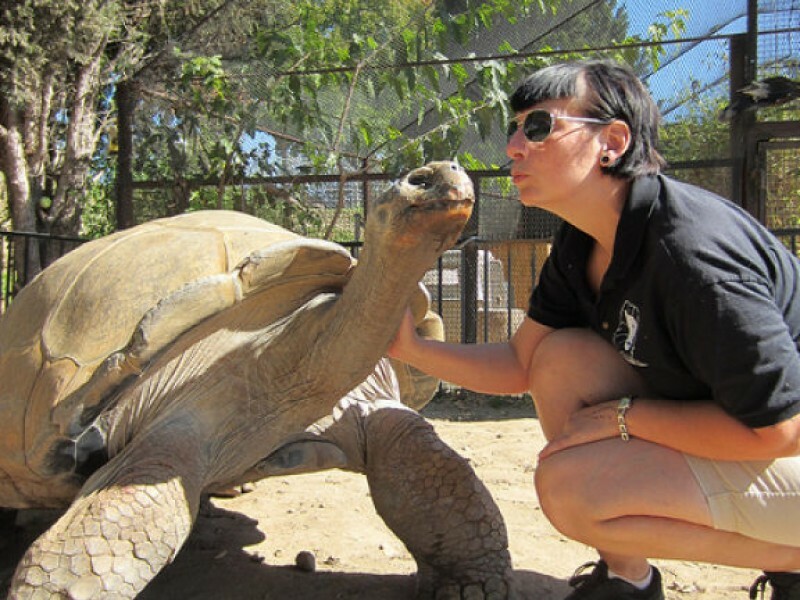 Exotic Animal Training and Management (EATM) Program was established as a major at Moorpark College in 1974. In 1990, the EATM Compound was moved to its current location, on a 5 acre site overlooking all of the Moorpark College campus. Animal enclosures were built, and new enclosures are always being constructed. The animal collection has gradually increased over the years as animals were acquired through donations and breeding loans from major zoos and research centers. This extraordinary collection has included exotic animals ranging from Marmosets to an Asian Elephant, Leopard Geckos to Alligators, Turacos to Emus. We currently have a Bengal Tiger, African Lioness, Spotted Hyena, Mountain Lions, a wide variety of Primates, Birds, and many, many other exotic and endangered animals. New animals are continuously being acquired, as space arises. As the animal collection grew, so did the program. New courses were developed and enrollment increased. The present animal collection, is maintained on a five-acre facility on the Moorpark College campus called "America's Teaching Zoo". Students in the Exotic Animal Training and Management program are required to be at America's Teaching Zoo most days, including weekends when we are open to the public. This requirement is in addition to the long hours and days spent working with and caring for the animals, and attending classes. Our Zoo has about 130 different animals at any time, and the students are responsible for most of the care, feeding and well-being of the animals, under close faculty and staff supervision. Responsibility is a key commitment to this program. Graduates of the EATM program are working all over the world, in many different situations involving animals. They are training dolphins and other marine mammals, doing conservation work, training animals for television and films, working at zoos and theme parks, and many other animal jobs. Come learn about the early Twentieth century Impressionist movement in Southern California that helped define and establish a national awareness of the emergence of California and in particular, Los Angeles and Southern California. The art of the early California Impressionists continues to be popular today among collectors and art lovers, as well as those who appreciate and enjoy the beauty and unspoiled scenes of early southern California scenery, or revel in nostalgic glimpses of a long-forgotten landscape. Reitzell will discuss the evolution of California impressionism, the major artists of the time, share the vibrancy and impact of the movement, and highlight important paintings of the time. The California Museum of Art Thousand Oaks (CMATO) will host a private screening of "A Year With Betty Gold," a documentary feature film showcasing the life of the internationally renowned abstract sculptor and painter. The screening takes place at CMATO alongside Gold's paintings and sculptures and will feature a Q&A with Gold and the film's director, Jason McMerty. A former Miss Texas, Gold blazed a trail for female artists, emerging as a bona fide pioneer in the male-dominated field of large scale sculpture, with a body of work that spans more than 35 years. She has shown in more than 135 solo and group exhibitions and her work is found in both museums and prominent public and private art collections worldwide. "A Year With Betty Gold" chronicles the 83 year-old artist's fascinating life story, from her early days as a beauty queen through the recent installations of her metal sculptures around the world. Admission is free for CMATO members and $10 for non-members. Screening takes place surrounded by Betty Gold’s work - part of CMATO’s permanent collection. Join poets from Ventura and Santa Barbara counties as they read their their response to the art of Kevin Sloan. A tea service with delicious pastries and finger sandwiches will be served during the readings with a discussion afterwards. Sponsored by Coffee Bean and Tea Leaf! 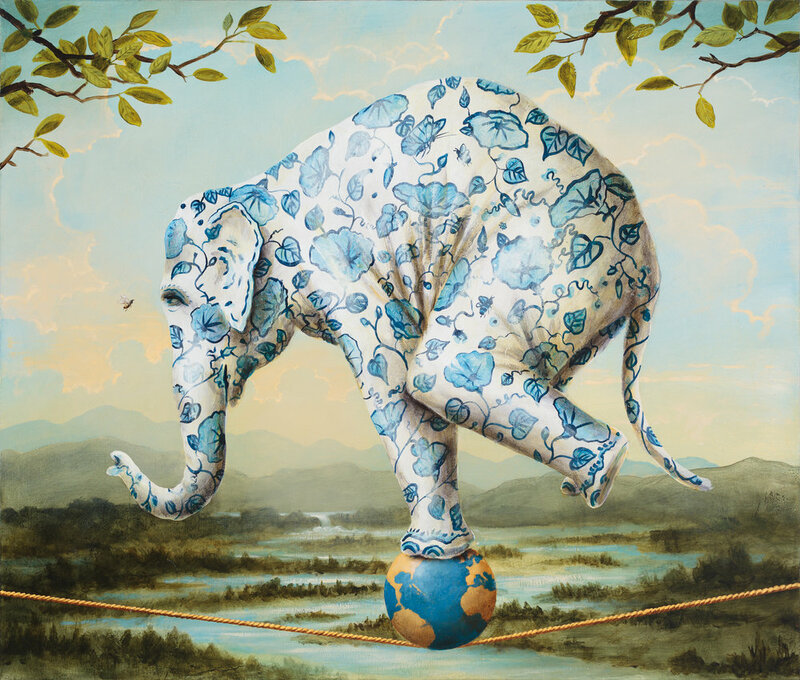 Over the past several months, this collective effort has relied upon the generosity of the artistic spirit, and a recognition of the important themes explored in Kevin Sloan’s paintings to create what critic, Carmine Starnino calls the “perfected expression of a sensibility in language”. Ekphrastic poetry is a long-practiced literary form—art inspired by art—in which writers, undeterred and, sometimes, overwhelmed by the ineffable or, sometimes, searing emotions conjured by the visual arts, (re)turn to language to convey what had, until then, escaped expression on the page. Poets, just as painters, are generally known for their ability to pay attention to the smallest details while keeping in mind a larger message. Writers harness the power of descriptive language, or what the beloved poet, Mary Oliver, calls “the language of particulars” expressed in imagery and through the linguistic strategies of metaphor, simile, allusion and personification. And, though I am not a visual artist, it seems to me that painters rely on similar strategies to convey their messages, to evoke emotion and to inspire deep reflection. Singer-songwriter Rick Schuler ushers in the sounds of the ‘70s with his “Rocky Mountain High Experience,® A Tribute to John Denver” at the California Museum of Art Thousand Oaks (CMATO) on Saturday, December 8 at 7:30p.m. Schuler’s uncanny resemblance, vocals and stage persona have made him the leading performer of John Denver’s music. Schuler’s show offers audiences the most authentic John Denver concert experience by incorporating the country legend’s greatest hits including “Thank God I’m a Country Boy,” “Take Me Home, Country Roads,” “Sunshine on My Shoulders” and more. Schuler’s performance captures the essence of the music icon in both his sound and stage presence – it’s an outstanding show for Denver fans. Concert takes place in the museum’s main gallery featuring the works of Denver artist, Kevin Sloan. An intimate setting to enjoy a tribute to a legendary music career that spanned four decades. Curator Led Walkthrough of "Kevin Sloan: A Collection of Rarities"
Please join Lynn Farrand, Senior Curator at the California Museum of Art Thousand Oaks (CMATO) for a special guided tour of Kevin Sloan: A Collection of Rarities exhibition currently on view in the main gallery. Learn more about Sloan’s allegorical realism, a term he has coined to refer to his use of objects and environments that are painted in a realistic way but because of the inclusion of unexpected elements, the narrative in the work takes on an allegorical quality. Also, take a moment with Lynn to examine Sloan’s technique, his use of color and pattern, his composition, all geared to make us marvel at the wonder of the natural world which surrounds us. 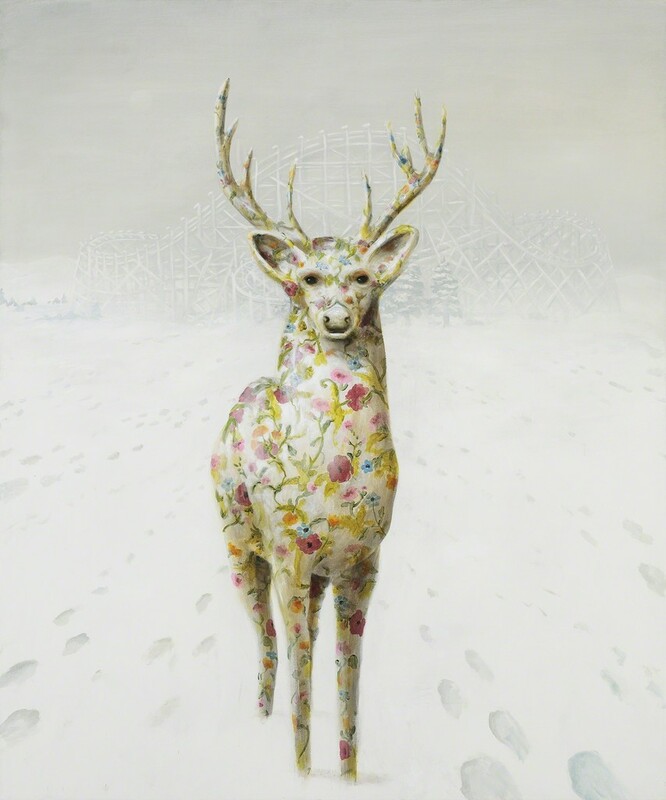 Kevin Sloan is a Denver based painter whose work is characterized by a deep reverence for the natural world. The often symbolic paintings are an ongoing inquiry into the relationship between the marvel of the natural world and the mundane and often blunt reality of the modern era. THE SAME VIBRATIONS AT THE SAME TIME. IT’S HEALING. IT’S UNIFYING. IT’S EXCITING. CMATO is proud to present The Resource - a movement and sound collective - live performance in the museum main gallery. The ocean is represented by a woman and the moon by a man. They are moving to the sound of ocean waves which are in fact, a recording of the breath of the woman representing the ocean. The piece does not define the relationship between the man and the woman as the viewer may find a myriad of possibilities throughout the performance. Each are powerful and both are willing to push and pull. To be strong and vulnerable. There is a discovery of relationship to self, relationship to other, and relationship to nature. The relationship is not defined because the viewer creates their own story of what relationship they see. This is parallel to life: we cannot be told how to treat nature, we must discover and decide for ourselves to create our own relationship with nature. There is a give and take, an exploration of closeness and awayness and discoveries of support available. There is loss and return, joy and sadness. There is an inherent dynamic between strength and vulnerability as the two move into and away from each other as the Ocean and the Moon. The Resource is a collaborative live music and dance company started by dancer and choreographer, Nathalie Wutkee. The inspiration for starting the company was a need to create combined with a desire to build a live music and movement experience that performers and audience members could share. The Resource creates their own sound and movement for all of their works and premiered with their evening length performance of EL-E-MEN-TAL in October 2017 at The Hillcrest Center for the Arts in Thousand Oaks, California. The Resource hopes that viewers feel a sense of unifying excitement and an encouragement to spark their own creation. 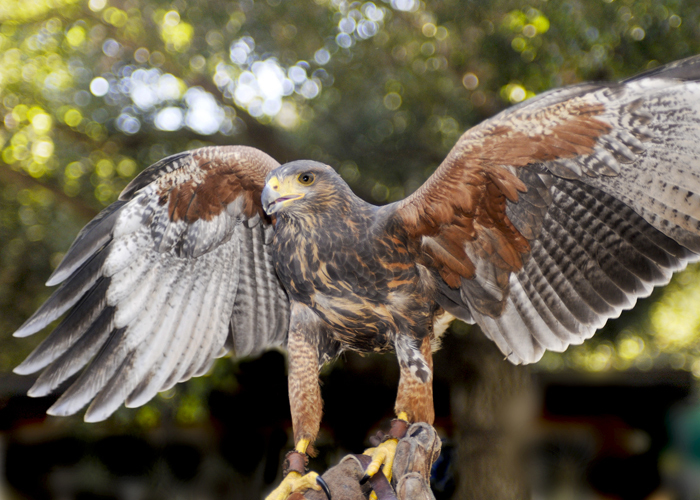 This is your opportunity to experience some of the most majestic birds of the natural world and to gain an insight into the historic art of falconry, the sport of Kings and Queens. To meet a hawk, owl, falcon and turkey vulture up close is a fascinating experience for children and adults. Participants will learn about falconry basics, about the habits of raptors and hear all about their personal stories. The Nature of Wildworks, a nonprofit 501(c)(3), was founded by Mollie Hogan in 1995 to bring to life her vision of providing interactive wildlife educational programs to enhance the public's understanding of nature and the environment while also ensuring lifetime quality care for non-releasable wild animals. At our Wildlife Care and Education Center in Topanga, California, we provide a home for over 50 animals, mostly species native to California, who were either displaced from zoos, confiscated illegally owned "pets", or rescued orphaned or injured wildlife. The CMATO Council Speaker Series - Enjoying Art - Entertaining and informative presentations for all - Novice to Knowledgeable with Rich Reitzell, an art enthusiast, avid collector, and author of From a Versatile Brush the Life and Art of Jean Mannheim. He is a member of the CMATO Board of Directors. A companion to the current museum exhibition, POWER, the talk will focus on the intersection of art and power, including examples of the power of art. "Art and power- two words that don’t seem to naturally fit together. Power conveys a sense of influence, drama, action, and suggests a variety of intense images - the roar of rocket, waves crashing against a rocky shoreline, lightning piercing a night sky, or even the smooth muscular strides of horse racing’s recent Triple Crown champion Justified charging down the home stretch. In contrast, for many of us, art conjures images of contemplation in a quiet museum, a flurried paint pattern of a contemporary work, or beautiful landscapes dappled with soft pastel tones that comfortably immerse us into a relaxing place or moment. And yet, throughout the annals of time and history two threads are continually evident- the power and impact of the written word and the visual image. " Join the CMATO Council for a fantastical tour of one of the most unique homes in Thousand Oaks - Brillig Manor. 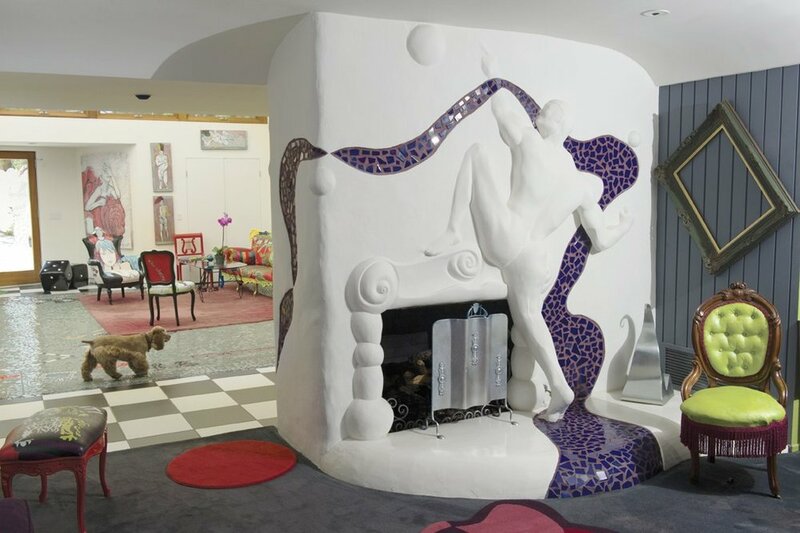 The home, named after Alice in Wonderland’s whimsical “Jabberwocky” poem, overflows with bold, playful symbolic works that delight. Reception follows tour with artist Darlene Graeser. Address & More Information Will Be Emailed To You Before Event. The CMATO Council is a substantial fundraising arm for the California Museum of Art Thousand Oaks. Volunteers (Council Members) are dedicated to helping the museum fulfill its mission to engage, educate, inspire, and elevate the human spirit through palette of Art. Meet Michele Benzamin-Miki and learn more about her work and perspective on what's powerful today. Talk takes place inside exhibition gallery featuring Benzamin-Miki's award winning works. Complimentary admission. Refreshments provided. I believe power can be misused when it becomes power over others, even if benevolent. What I choose to view as true power is when it is a power with others, empowering, and bringing out the best in oneself and others; then we can get outside of our structures of power, social, economic, political, religious and so on, in order to create systems that are flexible, changing to what is useful for the times, and appropriate to whom it serves. Each individual is powerful. Power ultimately is a capacity within us, a seed if you will, that awaits growth and expansion of our capacity to meet our lives and the challenges and obstacles of any situation with grace, ease and solutions. Most often these very difficult events of our life bring forth this capacity. When conditions are right or choices are made available to us, individuals can turn an external challenge around, whether it is environmental, social, political, and so on. I believe these structural systems do not have lasting power. Michelle's art is an intersection between East and West, Realism and Abstraction, reflecting her Japanese and North American heritage. She uses large calligraphic brushes with sumi inks on paper, moving from ‘point zero’ of inner stillness towards an expansive awareness, before or during the creative process. Michelle teaches the non-violent martial arts of Aikido and Iaido Sword, in which she holds two fifth-degree and one sixth-degree black-belt ranking. She is the Co-founder of Five Changes and Manzanita Village Retreat Center near Warner Springs, in Southern California, where her studio is located, and where she works with clients and leads retreats. Brand Library Art Gallery, Glendale CA. Soma Arts Institute, San Francisco CA. Awards for Best in show, first prize, and honorable mentions at shows curated by Laddie Dill John, Jim Morphesis, Kent Twichell, Peter Mays. California Legislature Assembly, Certification of Recognition for my art – 43rd Assembly district Mike Gatto.